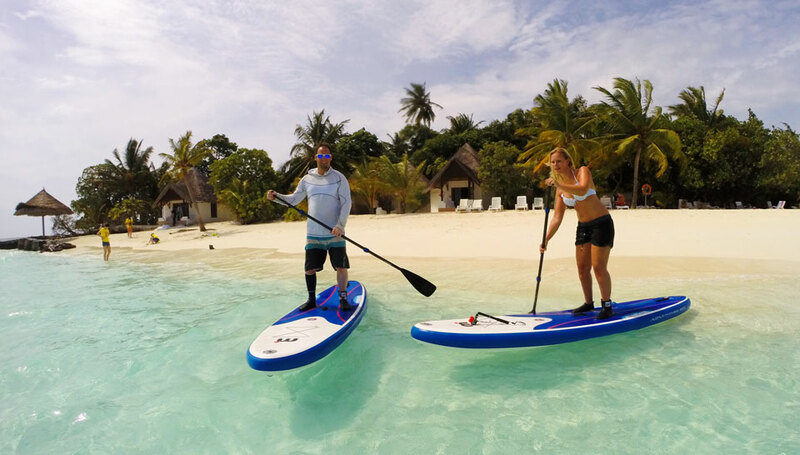 They are a true paradise for honeymooners, lovers, water sports enthusiasts and stand up paddlers. 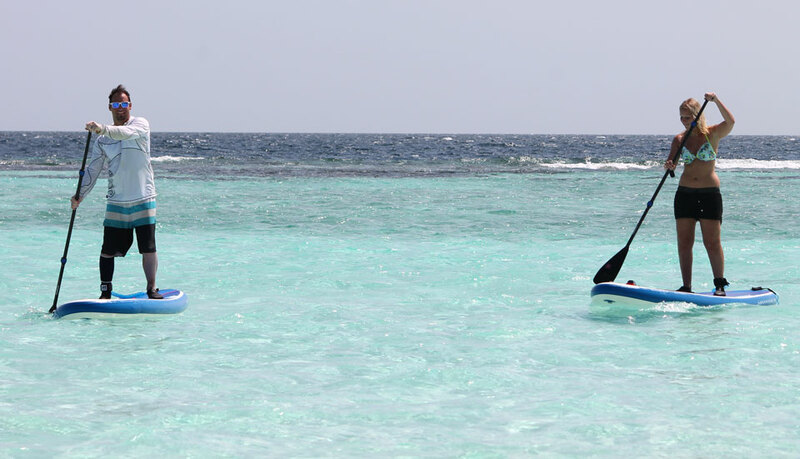 Depending on the weather and time of year you will either find water that is flat like a mirror or waves for surfing. The water is beautifully turquoise the sand is snow and the underwater world is truly amazing, totally awesome for snorkeling! The only drawback are the corals, which can be (depending on water level) very close below the surface and are razor sharp. 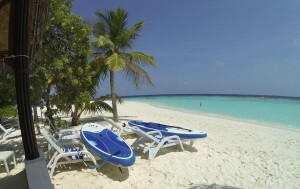 You can stay on a luxurious 5 star island or choose 3 star islands where paying the hotel bill will not make you dizzy. 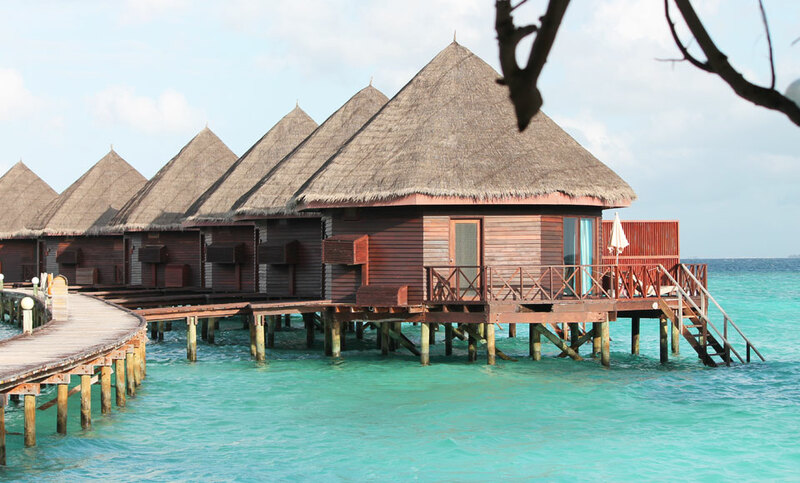 The accommodation options vary from individual bungalows to multi-storey buildings and huts on the water, which are built on stilts and have a direct entry into the water. Generally almost all accommodations will have a sea view and are only five steps from the water. Best, but unfortunately also the most expensive time to visit is the high season from November to April. The rainy season extends from May to October, although it may now and then come to rain throughout the year. And you can have fantastic weather even during the rainy season. We spent a week on the island Thulhagiri in North Male Atoll, a half hour drive by speedboat from the airport island, and were very happy there. We had our two inflatable 10.5 Mistral SUP iCROSS there and have spent 450 € for half board in a beach bungalow right by the water. We can recommend paddling there 100%! Especially if you are somewhat flexible in time, it does not have to cost a fortune! Surf Saeson: The best time to surf is from May-August (swell size about 6-8 ft). 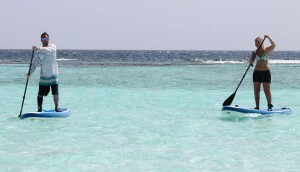 In March/APril and September/October, you will have smaller waves (about 3-4ft) which are ideal for SUP Surfing. What to bring: Leash, Reef Booties & a good book!